In Rome earlier today, Pope Benedict XVI named Father F. Richard Spencer, a priest of the Archdiocese of Baltimore currently serving as an Army Chaplain and stationed in Germany, Auxiliary Bishop of the Military Archdiocese and Titular Bishop of Auzia. 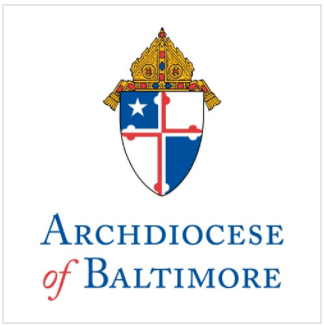 Archbishop Edwin F. O’Brien, Archbishop of Baltimore and former Archbishop of the Archdiocese for the Military Services, USA, issued the following statement: “I have known Father Spencer well for many years first in my capacity as Archbishop for the Military and now as Archbishop of Baltimore. We are proud the Holy Father has chosen him, one of our own, to continue serving our brave and generous women and men in the military.” Bishop-elect Spencer was ordained to the priesthood by the late Archbishop William D. Borders at the Cathedral of Mary Our Queen in 1988. In addition to serving at Sacred Heart Church, Glyndon, the Msgr. Clare J. O’Dwyer Retreat House, Sparks, and St. Peter the Apostle, Oakland, the Bishop-elect has served as Chaplain for the U.S. Army since 1991. During that time, Bishop-elect Spencer has provided for the spiritual care of Catholic soldiers serving throughout the world. His assignments have taken him to areas including Germany, the former Bosnia/Herzogevina, Seoul, Korea, and the Sinai Peninsula in the Middle East. Promoted to the rank of Lt. Colonel in the U.S. Army in 2005, he was appointed an Episcopal Vicar for the Archdiocese for the Military Services in 2006. “In addition to his priestly ministries, Bishop-elect Spencer brings to his new ministry a wide variety of experiences in many fields,” said Archbishop Timothy Broglio, Archbishop for the Military Services. “That experience will certainly contribute to the richness of the episcopal ministry to which he is now called.” Frank Richard Spencer was born on June 10, 1951 in Sylacauga, Alabama. He holds degrees from Jackson State University (AL) and the University of Wisconsin, LaCrosse, and served active duty as an officer in the U.S. Army from 1974-1980, including with the Army’s Military Police. He completed his studies for the priesthood at St. Mary’s Seminary in Roland Park. Bishop-elect Spencer’s brother, Father Robert Spencer, is a priest of the Diocese of Charleston (SC) and serves as a Chaplain for the U.S. Navy. Other immediate family members include his father, Frank S. Spencer, brothers, Jim and Bill Spencer and sister, Peggy Spencer Fetyko. The date of Bishop-elect Spencer’s ordination has not yet been set.